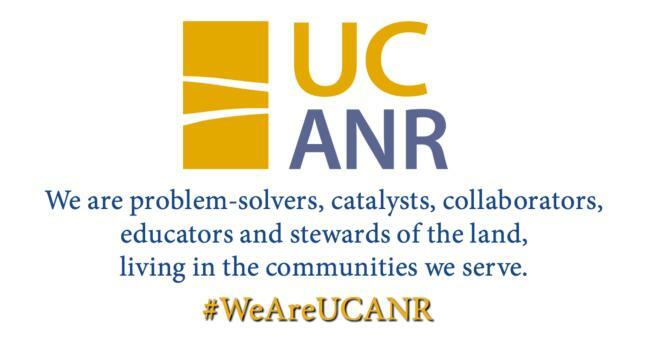 Find UC ANR in your community! UC ANR offers programs and activities all over the state that connect Californians to the University of California – even if there’s not a campus nearby. Using the interactive map below, see for yourself a sampling of where UC ANR is in your home town! Click on the symbols (which open up an info box) and learn more about the activities at each location, including programs like 4-H, UC Master Gardeners, the Expanded Food and Nutrition Education Program (EFNEP), UC Cooperative Extension, UC CalFresh and our nine Research and Extension Centers (RECs), among others. For a look at the full breadth and depth of our statewide programs and institutes, county offices and campus partners, use the dropdown menu at the top of this page. Have fun learning about UC ANR! Join us and share your UC ANR story! Click the button above or below to go to our #WeAreUCANR social media toolkit!